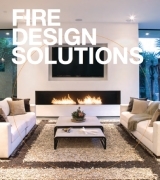 For over four years, internationally renowned San Diego based custom furniture designer and maker Jamie Huffman has embraced the element of fire, working closely with EcoSmart Fire to incorporate fire design into his stunning custom furniture pieces. Jamie’s design, innovation and fabrication company Surface Furniture was recently engaged by Safdie Rabines Architects to design specific custom furniture pieces, including a dining table and bedside tables, for a stunning new house to be built overlooking the Pacific Ocean at La Jolla, California. At the heart of the new home, Jamie was also tasked with creating a fireplace centrepiece in the main living area to sculpturally define and celebrate the clients’ modern sensibilities. And the result is impressive: two fireplaces - one interior and one exterior - separated by vast sliding glass doors that open up the facade of the house to the expansive ocean views. “The house layout is designed to blur the lines between the exterior and the interior, and the positioning of the fireplaces accentuates this aspect of the architecture,” says Jamie. Jamie incorporated two XL700 EcoSmart Fire burners into lightweight fibre reinforced concrete matched to the colour and texture of the floor tiles to give the impression of being pulled upward. And according to Jamie, the architecture and the client were the inspiration for the design. 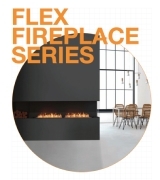 “The fireplaces are an extrusion of the architecture, and an extension of the clients who are not only minimalists, modernists and art lovers, but whose gracious and warm-hearted nature draws family and friends close to them,” he explains. “The fireplace furniture embodies this sense of community and fellowship, as fire tends to do, and is as much a piece of art as those that surround them. 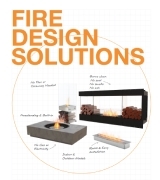 Italian Flare EcoSmart Fire is well placed at Criniti’s. The FAMILY chain of Italian restaurants in Sydney prides itself on offering the best of the best – and with EcoSmart Fires installed in two of the four restaurants, they are in good company, whether it’s Ducati motorcycles suspended from the ceiling in one of the restaurants, or a Ferrari engine forming the structure for the light fitting in the private dining room. Bali Style On the coast of WA lies a home created to give its owners a taste of holiday luxury every day. In particular, the room that encapsulates this perfectly is the master suite; located on the first floor, the room enjoys ocean and garden views, whilst serving the dual purposes of bedroom and bathroom. Luxury Lounge When interior designer Marén Niehoff from HMG MBH & CO. KG was asked to create a modern, stylish and comfortable lobby area for a new five-star Fleming’s Deluxe Hotel Frankfurt main-riverside, Germany – part of the Flemings Group – she was looking for the perfect fireplace. Fiery Reflections The dramatic tension between fire and water created when Ecosmart’s XL900 burner was incorporated into a pool house was the perfect design solution for the Portsea Private Pool Pavilion project. Understated Luxury Achieving understated elegance inside this beachfront penthouse apartment in Newcastle was the prime objective for Coco Republic’s Senior Interior Designer Natasha Levak. Distinctive Divider New York entrepreneur and creative force behind acclaimed US custom home furnishings company DESIRON, Frank Carfaro has always had a passion for beautiful design and artisanal craftsmanship. 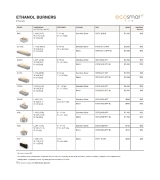 And when he first discovered EcoSmart Fire, he knew his design values were very much aligned. Organic Elements The New American Home has been acclaimed as a symbol of energy efficiency and innovation. And for Las Vegas-based company Blue Heron Design Build, creator of the 2013 New American Home, it was a chance to showcase how they could push the boundaries of innovative design.